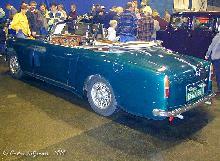 The Alvis TD21 had been highly successful for the Coventry based company and had gained a loyal customer base. 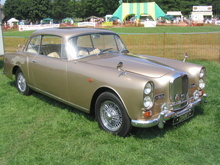 In 1964 Alvis up-dated its coupe model with the more powerful TE21. 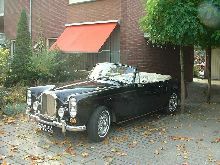 The TE21 now had 130bhp and a choice of either manual (5 speed) or automatic transmission. The styling of the TE21 remained similar to the previous car, although fashionable "staked" twin headlamps were a dramatic feature and contrasted with the otherwise traditional shape. 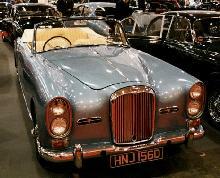 In 1966 a triple-carb TF21 replaced the 'TE model and boosted power to a dizzy 150bhp. 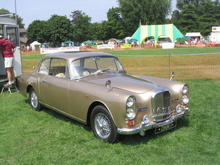 The suspension and interior was also up-rated and improved on the TF21 and the model stayed in production until 1967. 9' 3" 4' 7" 15' 8" 5' 6" 0 (29) 0' 0"